Sometimes take out is only a means to fill one's stomach with greasy burgers and fries... Sure, there is Subway and salad bars everywhere, but how about something more satisfying? Well, that's what we did when we dropped by Cioffi's for some eats (which were not necessarily more healthy, but a whole lot more interesting than burger and fries). The kids were a bit perplexed though as they noticed that we were walking into a meat market (no, not that type of meat market, my clubbing days are long over). They were skeptical, but in the end they were interested in trying out the eats. 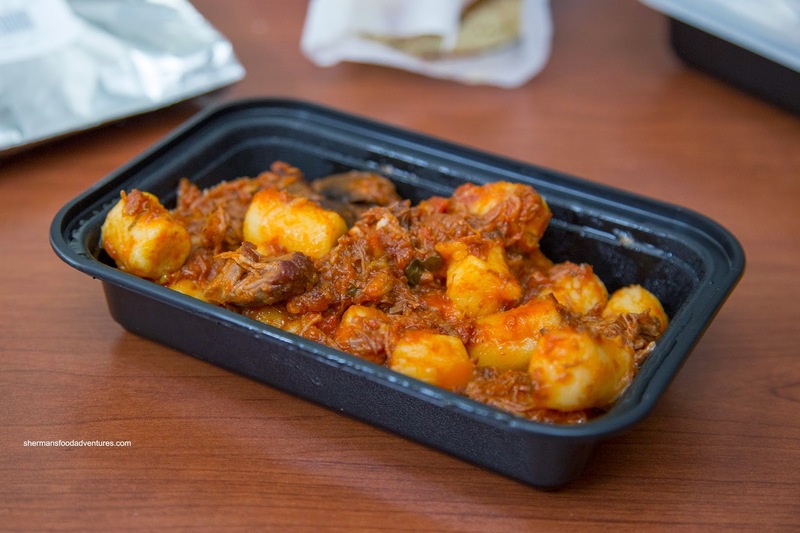 We ended up with an order of the Osso Buco Gnocchi and it was surprisingly good for something that had been sitting in a chaffing tray. The gnocchi was firm, but not overly dense. I suppose anything softer would've turned to mush otherwise (while being warmed). There was a generous amount of tender osso buco which ranged from small strands to large chunks. I found the tomato sauce to be relatively mild with only a bit of tang. We also got Polenta topped with something similar to a puttanesca except without anchovies (rather there was pork I believe). Hence, there were some good flavours from the onions, tomatoes and olives. 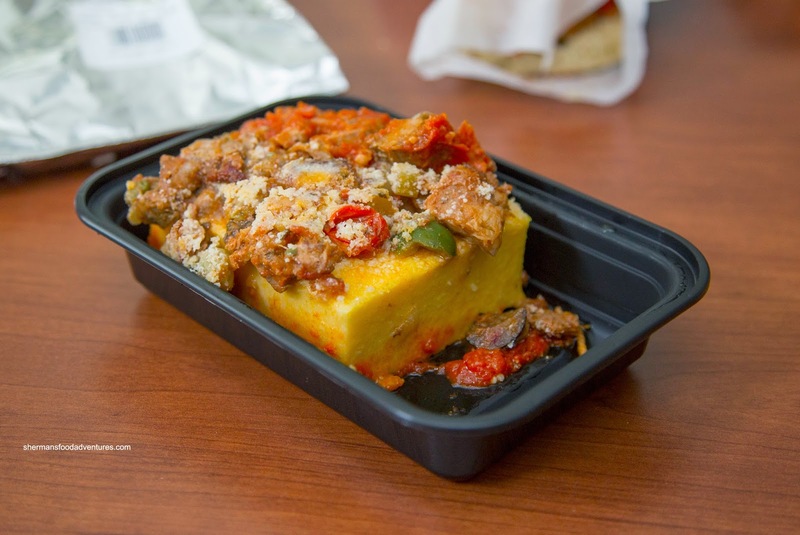 Good thing too as polenta is usually a blank canvas. The texture was firm while still moist. 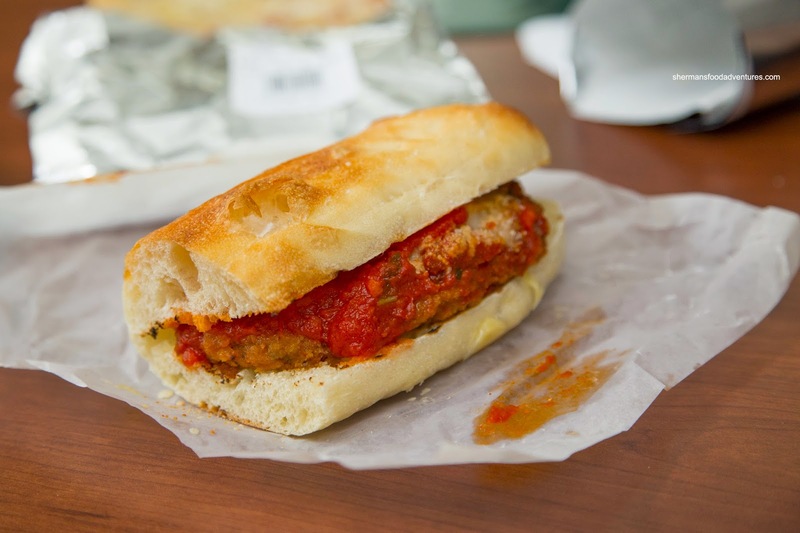 We also shared a Veal Parmigiana Sandwich on Calabria bread. I found the veal to be a bit on the dry side (forgivable since it had been sitting in the warming tray). There was just the right amount of tangy sauce and cheese. The bread held up well to the sauce, however, it could've been toasted more. Lastly, we got a slice of Cheese Pizza just in case my son decided to refuse the other items (he didn't, which was a surprise...). 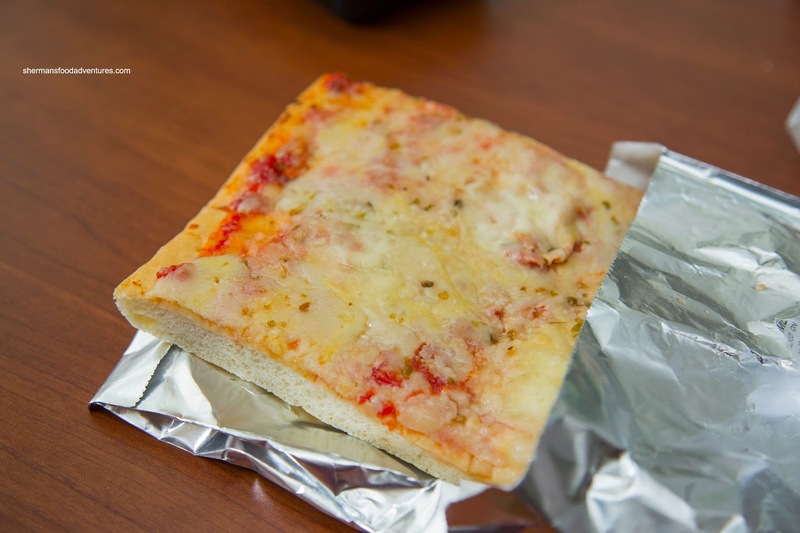 The pizza was more like a cheese bread where the dough was fairly soft while the tomato sauce had a slight tang. There was an adequate amount of melted cheese on top. 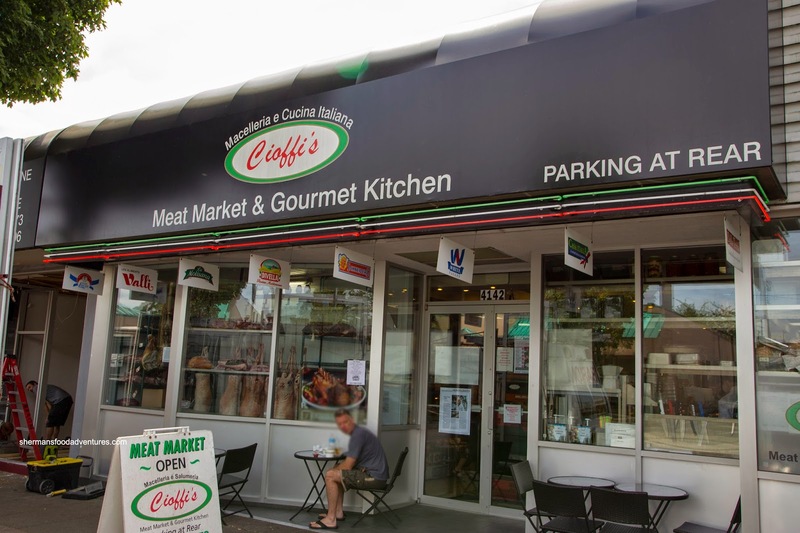 As you can see, the takeout eats at Cioffi's ain't complex, but for a reasonable price, one can eat more interesting food than some chicken nuggets. In situations like this, I sometimes ask the staff which items have come out most recently, and often make my selection with this in mind. Yes, it would be nice if they would restock smaller amounts of fresh product more frequently, but in reality, that is rarely the case. I noticed that Cioffi’s Cucina (next door) is serving chili as part of Vancouver Foodster's Chili Challenge. I think I'll dropping by soon to give that a try.